It's far from a normal day at the office at the Federal Bureau of Control. One doesn't expect to walk in and see dozens of people suspended, motionless, in mid-air. There's something mysterious and demonic at work, a force that's looking to spread through the rest of the world. That's the premise behind Control, the latest effort from the folks at Remedy Entertainment and 505 Games. Control follows a federal agent named Jesse Faden, who enters the FBC only to find the Director dead and a strange supernatural force looking to break out into the world at large. Now taking over as the new FBC Director, Jesse is the only one able to confront this unknown, otherworldy threat, known only as The Hiss, and save the dozens of people who are being held captive by its seemingly-endless reach. Shacknews attempts to understand what sort of threat faces Jesse, as we went hands-on at this year's Game Developers Conference. Control plays out like a standard third-person action shooter. Jesse does have a trusty sidearm that she keeps handy, which can be upgraded over the course of the game with various mods. The pistol also has different forms, one of which can be used as a standard firearm and another where shots can be charged for greater effectiveness. Both of these forms can be upgraded with different mods that influence damage, ammo, and other stats. Rarer mods will be hidden within the FBC facility and behind more powerful enemies. But guns aren't all that Jesse has at her disposal. Jesse also has a slew of supernatural abilities that she can use over the course of the game. The most prominent one is the ability to hover in the air and dart towards any given target. This will mainly be used for ground pounds to take out enemies, but can also be used to escape hairy situations. If shooting enemies isn't your thing, Jesse has the ability to grab nearby objects and chuck them at her foes. When faced with bigger threats, Jesse can use her telekinetic abilities to catch incoming rockets and send them flying right back where they came from. There's a third, more fun ability that Jesse can use, but I'll touch on that in just a second. There was plenty of opportunity to make use of Jesse's abilities and weaponry over the course of the demo, which tasked her with finding Director of Operations Helen Marshall, who was lost amidst all the supernatural hullabaloo. Jesse needed to get around the Central Research facility, an area that mostly differed from the setting shown off at E3 2018. This felt like a full-blown government facility, filled with armed resistance and supernatural creatures. As I explored various offices and labs, I continued to find armed guards controlled by The Hiss. Some were powered up by nearby Hiss orbs, which amplified their health. This is where we get back to that third ability. Jesse will frequently be outmanned and outgunned, but players can pick up an ability called Seize. This ability allows her to mind control enemies who are at low health. Once fully controlled, the enemy's health is replenished and will fight alongside Jesse until they're killed. Jesse can also use her Seize ability on some of those Hiss orbs and use them to boost her own health. That's helpful, because Control won't have regenerating health to keep Jesse alive between gunfights. Control appears to be a Metroidvania in spirit, with the full FBC facility open for exploration. Over the course of the demo, there were some hidden areas that included a strange hall of mirrors. This was an area where walls opened up to reveal hidden secrets, but it's an area I couldn't get too far into, since Jesse needed to be farther along in the story to access its inner depths. Jesse could also explore the Astral Plane, which appears to be the source of The Hiss and its power. The Astral Plane is a mysterious realm filled with more powerful enemies, but also with more enticing secrets. Hidden secrets appear to be everywhere in the game and exploring these outside areas looks to be a big part of Control's overall appeal. This is just the beginning for Jesse's journey to get the FBC back under control. 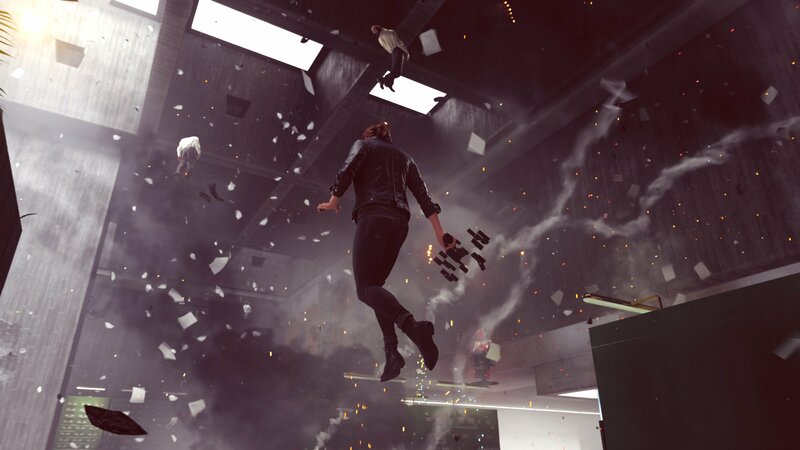 Remedy is promising a story worthy of the studio behind such hits as Alan Wake, which will include further backstory on Jesse, her abilities, and the Federal Buraueu of Control itself. 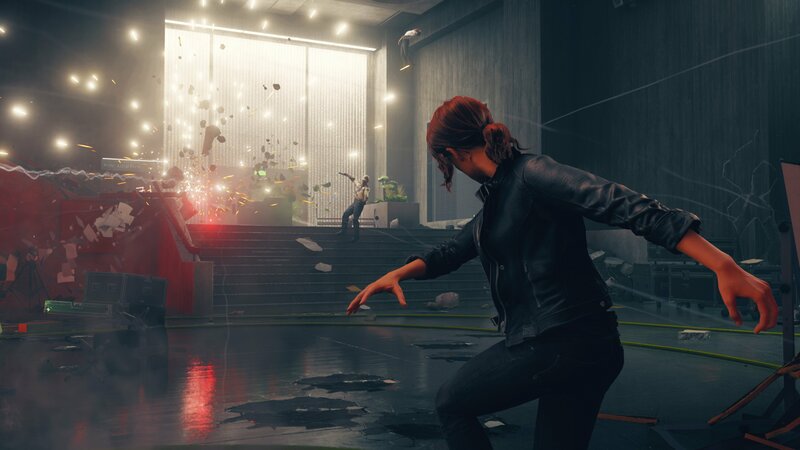 Those looking to see what Control is all about will have their chance to go hands-on with the game at this weekend's PAX East. 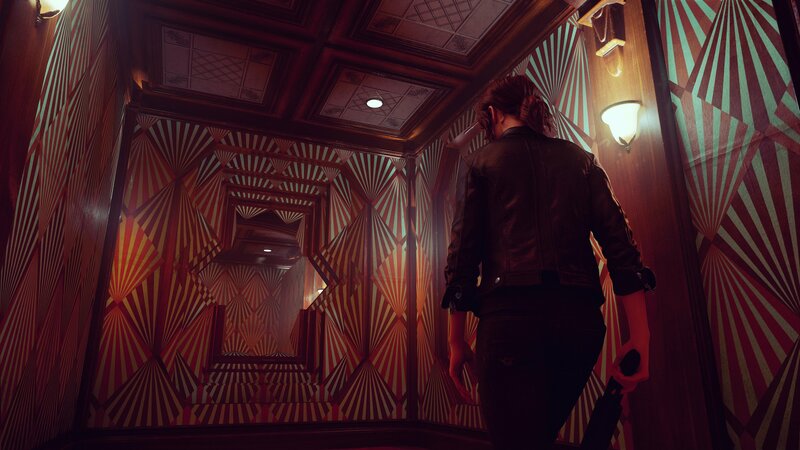 As revealed last week, Control is set to release on August 27 on PC, PlayStation 4, and Xbox One.